In June 2017, the Duchess of Cambridge (Kate Middleton) attended Royal Ascot. She debuted a new white lace dress by Alexander McQueen. 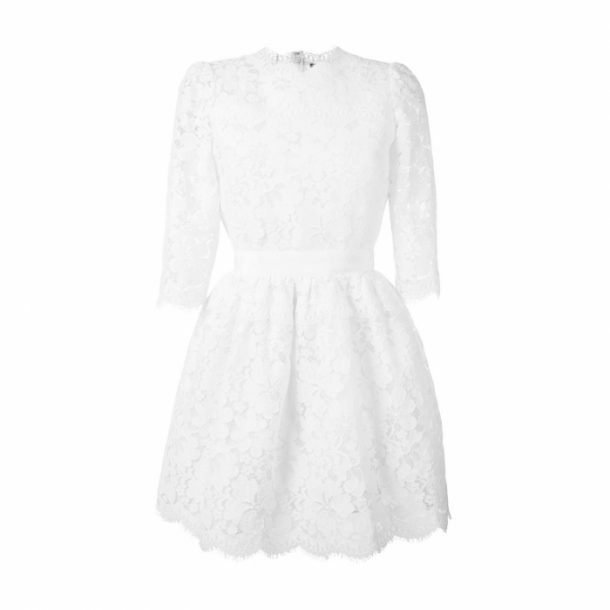 The white lace mini dress is made from a cotton and silk blend fabric and features delicate pleats. It has a round neck, three-quarter length sleeves and a flared skirt. Kate has requested a custom version of the dress that features a longer skirt.